This soup is filling and delicious--a perfect starter or light vegetarian meal. This soup is filling and delicious--a perfect starter or light vegetarian meal. 1. 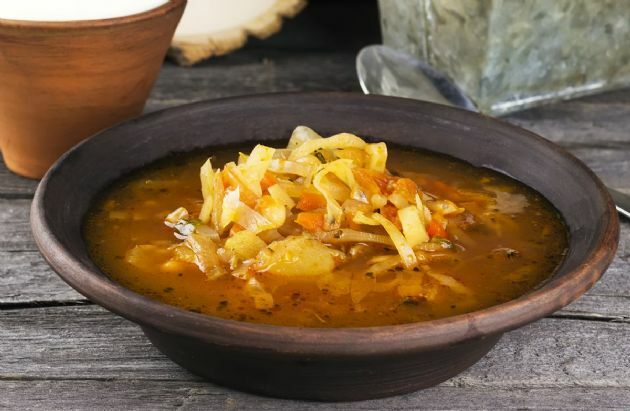 Place tomatoes, onion, celery, carrots, and cabbage in a pot, simmer over medium heat until tender, about 20 minutes. 2. Add canned vegetables. Heat and serve. I have used this one for years. If your have bad week & eating to much... try this!